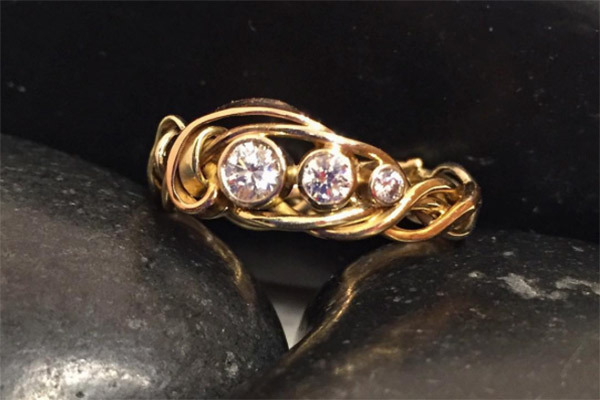 Vine series diamond and rose, white, yellow and green woven gold wedding or engagement ring. $2200. rices may vary dependent on market fluctuations in the cost of materials. Please call the store for prices.